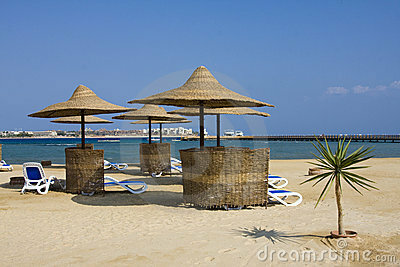 Beach on a sunny day.Egypt. Beach on a sunny day. Hurghada city in Egypt.